Jeffrey talks to us about his new book Heads You Win, the inspiration behind the story and his top three tips for aspiring authors. 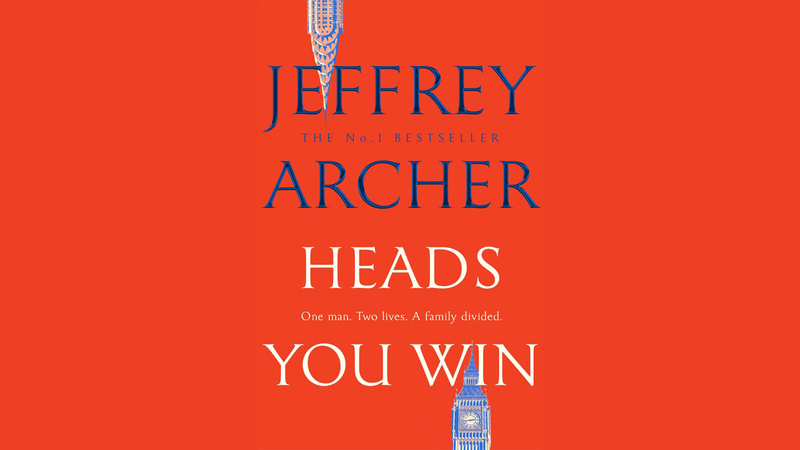 Heads You Win is Jeffrey Archer’s first standalone novel in almost 10 years, and follows the story of Alexander Karpenko as he flees from Russia and makes a decision on the flip of a coin that will affect how the rest of his life unfolds. Here, we talk to Jeffrey about his inspiration for the novel, his thoughts on fate, and his tips for aspiring writers. What was the inspiration for Alexander Karpenko's story in Heads You Win? Colin Powell was the inspiration. His mother Maude, a seamstress from Jamaica, wanted a better life and couldn’t make up her mind whether to set out for the US or UK, and I became fascinated by the concept of what would have happened to the former US Secretary of State if he’d come to Britain. Would he have become a field marshal or the foreign secretary? I doubt it. Heads You Win is your first standalone novel in almost 10 years. Why was it the right time to venture into something new? The Clifton Chronicles occupied my life for nearly a decade, and I had the idea for Heads You Win long before the Chronicles were finished, and so it felt the right time to write a stand-alone novel. The plot of Heads You Win rests on the flip of a coin. Do you believe in fate? No. I believe in damned hard work and the following maxim: if you have energy and talent you’ll be a king; If you have energy and no talent you are still a prince; but if you have talent and no energy, you will be a pauper. Don’t imagine you’ve finished your novel when you’ve completed the first draft. Write about what you know – you don’t have to follow trends and write a murder just because the genre is popular. There must have a been a great deal of research involved in writing this novel - is this a part of the writing process that you particularly enjoy? I always enjoy the research, and although I read a lot and have every fact checked several times, I still think talking to people who’ve been involved in, and are experts at, the subject you are pursuing, will get you a far greater insight than simply reading books. When Alexander Karpenko’s father is assassinated by the KGB, he and his mother must escape Russia for their own safety. The decision on whether to board a ship to England or America is left to the flip of a coin, and in a single moment Alexander’s future is decided. Heads You Win is a thrilling novel, with an incredible twist.